Klene Grof Geld is a delicious, moderately salty licorice from Klene. The pieces are quite large, and chewy. 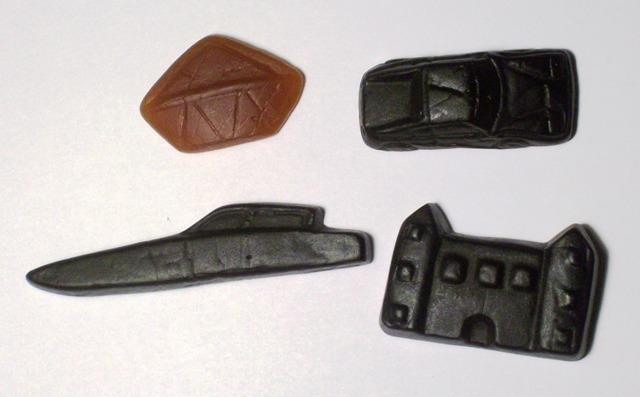 The shapes are cars, ships, castles, and a diamond ring. This licorice really packs a punch! It has a salty savorines ..